Walk The Creek: March already!! 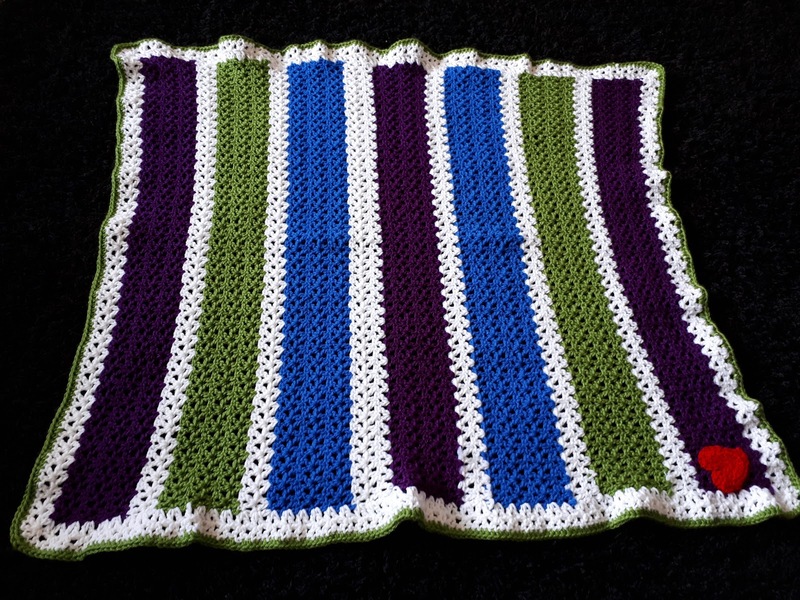 One of the small boy blankets I made. Notice my little heart in the corner? been to the library even once, so for sure need to revamp that goal. Sad day right? Hubby still isn't working and hasn't been since November, and you know what? It is hard and it isn't fun, and sometimes it is down right sad and discouraging, but I am doing my best to get through this one too, because it messes with some of my other goals, which I will have to revamp too. It is such a good thing we can be flexible in life. 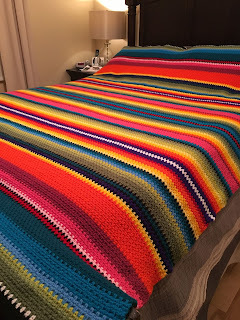 Okay, so revamped goals, I want to make my own blankets! 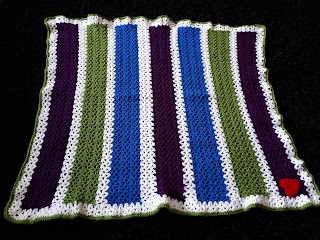 There are a few I have on the back burner that I want to do for my own household, so I will work on that, and make the odd baby blanket on the side to hand out. I think then I won't get so frustrated when I hear there is another baby born, and I just can't keep up. I totally would love a stack of these in my living room! Gonna make a few of them! Library goal revamp...... well I just don't know when this one is going to happen. 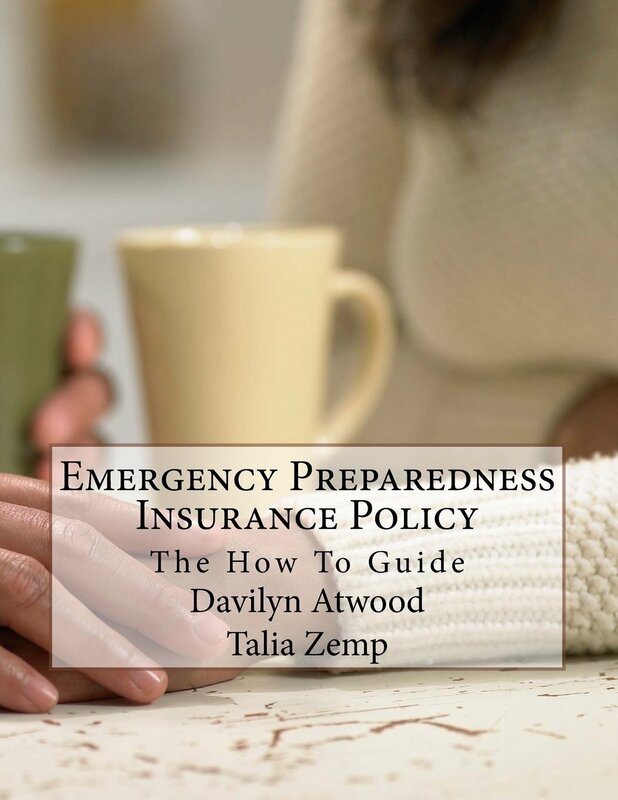 My blog writing has been suffering a lot, my studying has been suffering a lot, and I am not sure how to go about fixing that problem. Some thought needs to go into this goal, because what I love to do isn't happening, which tells me I need to back off some of the other things...............uggghhhh! I love camping! I really do! And I have wanted to get a small camper or topper for my truck for a long time now, so we can take off whenever we have a few days, and disappear. That goal will have to be revamped because sure as shootin' when the weather is nice enough, that is when hubby will get a job again and won't be able to come with me. That is kind of how it has played out for the last couple of years. Frustrating, but I can revamp again............ double uggghhhh! All in all, life is good. I really do love my job. It is exhausting most days, but it keeps me going and I enjoy the little rascals. I love the ladies I work with as well, which makes it a win win situation all around. Spring is in the air here in Southern Alberta, and I am loving it. A whack load of snow needs to melt, as we seem to have ridiculous piles outside still, but it is warm and water is flowing all around. And best of all......... the sun is shining and it is warm! By warm, I mean above zero, so t-shirt weather for us Canadians who just survived another crazy record breaking cold winter! Yay!! !